Thank you for your interest in Elkhorn Farms and Hatchery’s chicks. 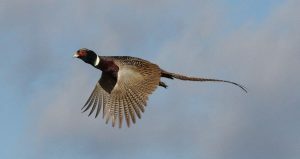 We are currently taking orders for the 2019 season for day-old pheasant chicks and partially and fully adult birds. The order form on this site cannot be completed online. Please print out the form and fill in and return to us, or email us for a PDF order form and letter. Or call us at 419.562.6131. The gamebird industry is in a great position to grow with the need for hunt clubs greater than ever as more land is put into commercial development. Opportunities abound as never before. 2.) by assuring the end user the birds he expects. We are seeing the “leaner-meaner” cost conscious grower getting more streamlined and efficient. 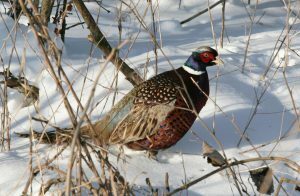 Our pheasants are a Chinese Ringneck with a slight Mongolian Cross, coloring up as adults with blue-green backs, white rings and dark burgundy body feathers. Some darker variations in coloration (“blacks”) appear infrequently, and are in great demand. We do not actively breed for that strain, and cannot predict how many we can provide. Since the process is time-intensive, we charge a surcharge of $.10 per chick to sort these. Elkhorn pheasants dress out as adults at about 2 to 21/2 pounds providing enough for the pot, while being highly flighty for good hunting. They are used regularly on our own and nearby hunt clubs, as well as shipped across the country with similar results, dependant on feeding practices. Fuel and feed prices impact your raising and pricing strategies “big time.” We wish you the wisdom of Solomon in figuring these issues out. However, do not scrimp on good quality food for your birds! 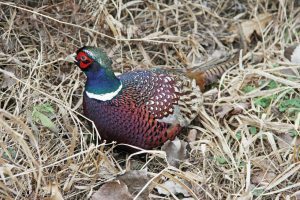 Expect that cost to be the greatest economic input toward raising gamebirds. See our Basic Care & Keeping page for additional information regarding raising your birds. Educate yourself now about raising birds by reading Gamebird Propagation by late author John Mullin, or Dr. Swartz’ book Grower’s Reference on Gamebird Health. 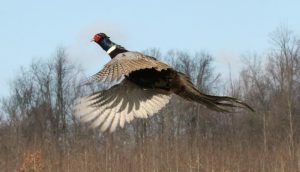 There are numerous gamebird educational seminars available through NAGA or regional associations. Access to an archive of articles from the NAGA News is included with your NAGA membership. Starting in May through July, we ship our day-old chicks “per box” of 125, our minimum order to ship. Smaller orders may be picked up at the farm. Price reductions are at the 1000, 5000 and 10,000+, and 20,000 chick levels. Shipping is additional. We strongly recommend Express Mail for day-old chicks with its one- or two-day delivery guarantee. We DO NOT recommend Priority Mail for pheasant chick deliveries to any but our neighboring states. We will only ship Priority with the understanding that we cannot guarantee the timeliness of arrival, or the viability of the pheasant chicks. The choice, responsibility, and liability are totally yours. We use the www.usps.com postage calculator to figure your Express Mail or Priority postage by weight and zone. This cost is one of the reasons why we would like to arrange truck deliveries on larger orders, or combined orders within 750 miles of Elkhorn Farms. Also consider ringneck pheasant adult or partially-adult birds. Delivery prices vary on quantity, distance, and the relative cost of fuel but generally is priced $.75 per mile, round trip. Please remember that our shipping/pickup days for pheasant chicks are Wednesdays, except for holidays like the 4th of July.